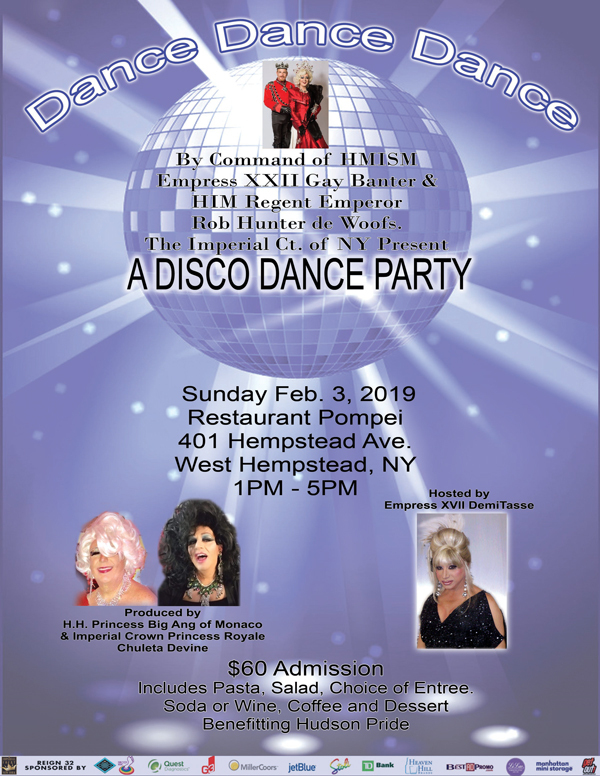 Dance the afternoon away with hostess Empress XVII Demi-Tasse at the lovely Restaurant Pompei in West Hempstead. Delicious food includes pasta, salad and choice of entree with soda or wine and coffee and dessert. 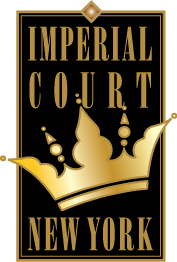 Produced by HH Princess Big And of Monaco and Imperial Crown Princess Royale Chalet Devine. All to benefit Hudson Pride.